Looking to replace your old mirrors or to give a room a new look? Mirrors are versatile and provide several ways to freshen up a space and reflect the beauty of your home. Add drama by positioning a mirror near candlelight or a chandelier. Add to a closet door to make a room or space feel larger. Hang over a fireplace to instantly create the illusion of more room. Brighten up a dark area by placing a mirror in a position that will reflect light. Whether you are looking to give a room a facelift or simply make a small update, we cut to size and offer mirrors in all shapes and styles for any room. Stouffville Glass Inc. is here to help you select the right mirror to meet your objectives whether it be to brighten up a room or add depth. We have a wide array of products in all of the latest styles and trends and service the Greater Toronto area (GTA). You can choose from a wide selection of colours, sizes and thicknesses for your mirror. We will cut, polish and custom fit your mirrors all in-house based on your specific needs. Once you’ve made your decision, we’re here to help you install it as well. Our products carry a full manufacturers warranty and a 1-year installation warranty so you can count on quality and care. Whether it’s a mirror, a mirrored door or whatever creative idea you have for your home, we can meet any requirement. At Stouffville Glass, we have been in business since 1979. 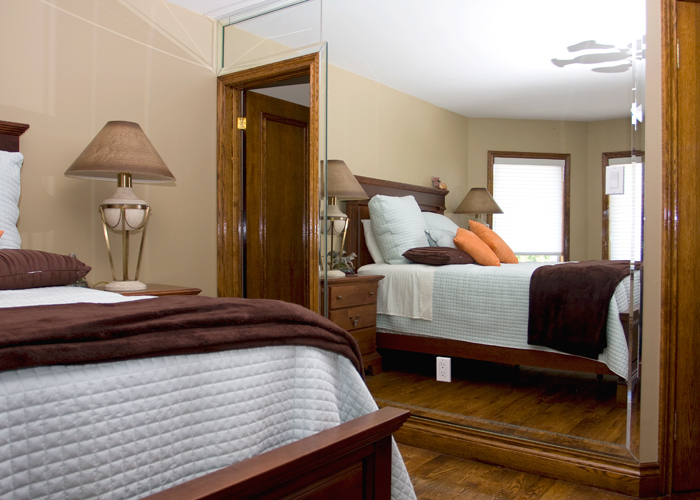 We are here to help you choose the mirror that’s right for your living space. Our priority is quality so you can feel confident that whatever mirror you choose, you won’t have to worry about 7 years of bad luck!